Trusox uses cutting-edge technology to create high-quality sports socks designed to maintain and enhance speed and agility throughout any activity. Comfortably gripping both your foot and inside layer of your shoe, Trusox socks are popular among the world’s leading sports people for their non-slip performance and unbelievable grip ability in wet and dry playing conditions. 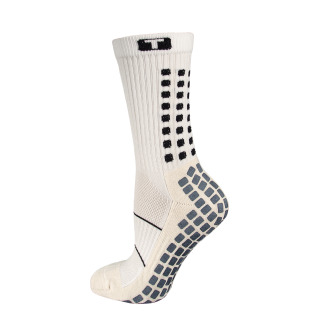 Trusox socks are capable of providing comfort and security for your feet during intense activity. Whether you want extra stability in your planting foot for crucial kicks, or need something secure for sharp changes of stance and direction; Trusox socks can give you more agile movements and explosive performances. 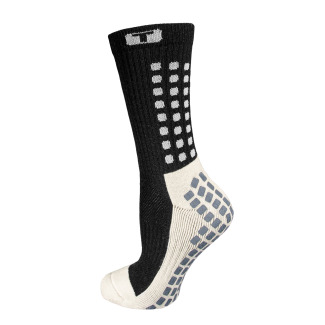 Each pair of Trusox socks features non-slip pads inside and outside the material. This design means the sock grips both your foot and the inner layer of your shoe to provide a ‘synced’ performance that gives maximum support and greater power transfer from your feet. At Excell Sports, we offer both thin and cushioned Trusox sock designs, so you can find the fit, feel and style to suit you and your game. The thickness of your Trusox socks relates to the material on the sole of your foot grips, so cushioned socks feel similar to regular sports socks, while the thinner variety is less bulky. Choose your favourite colour from our selection, or check out our range of men’s and women’s socks from other leading sports brands.